Can we all agree that slathering our faces with the same sunblock we use on our feet probably isn't the most ideal? Here you'll find the best blocks that nurture your delicate skin and provide added bonuses like anti-aging nutrients and even glowing tints. Once you're out of the sun, book one of these special sun-lovers treatments to reverse any past damage you've accumulated. 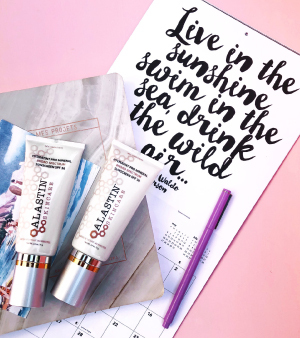 HydraTint by Alastin Skincare is not just a sunscreen. Scientifically created with healthy skin in mind, it's packed with age-defying antioxidants including Vitamin C, Green Tea Extract, Cucumber and Aloe Extract. 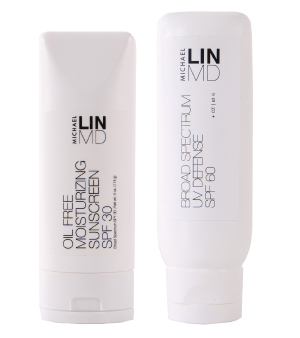 This oil-free formulation provides weightless skin hydration in a mineral formulation that provides physical sun protection. The universal sun-kissed tint, daily skin-loving nutrients, water resistance and breathable formula make it perfect as a makeup primer or worn alone. You'll uncover a new layer of skin with gentle exfoliation and relaxing resurfacing. The process removes debris from pores with painless suction, nourishes with intense moisturizers and then saturates the skin's surface with antioxidants and peptides to maximize your glow. This treatment is superior at removing brown spots and sun damage. 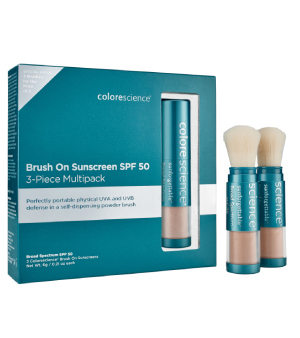 Colorscience is an award-winning, chemical-free, brush-on sunscreen with SPF 50. This unique custom refined mineral is a translucent formulation that helps defend from UV rays that's great for re-applying throughout the day and gentle enough for every skin type. This treatment uses microneedling with your own Protein Rich Plasma (PRP), driving the isolated growth factors into the skin. Reverse years of sun damage, uneven skin tone, appearance of wrinkles and scars in just a few treatments - now at the introductory price of $650. Formulated to be light, non-greasy and fast absorbing, use the SPF 60 post procedure and the SPF 30 for oily or acne-prone skin. Both work great under makeup, providing a smooth base without an ashy look. Microdermabrasion instantly refines skin texture by physically removing flaky dry skin, bumps of trapped oil and minimal sun-damage spots. A textured metal wand exfoliates and scrapes up skin cells and vacuums them away. Think of it as a facial scrub done by the pros with more lasting results - about two to three weeks. 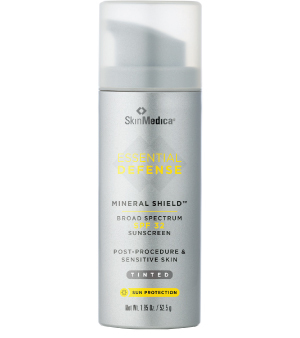 Essential Defense Mineral Shield tinted broad spectrum SPF 32 sunscreen is a lightweight mineral lotion that goes on smoothly with a sheer tint that gives the skin a healthy, even appearance. Post summer, Limelight Photofacial treatments effectively reduce "sun spots" and tiny facial veins caused by sun damage. Five monthly treatments are recommended, but results can be seen in as little as one treatment. Wax Before, have Fun After! Waxing - especially at the hands of an expert like Heather Nelson - is the preferred method of hair removal and an affordable luxury for an all-over good feeling before beach trips, special occasions and more. Treat yourself to pampering from tip to toe and know that you're the one heads are turning to watch this summer! Few things in life are certain, but "hair down there" is one of them. FUR is the first line of products that cares for your most intimate mane. No more ingrowns, bumps, or irritation - these 100-percent natural, made-in-the-USA products treat your most sensitive area with respect. Described by Nylon as "volumizing hair perfume," MARE Mediterranean Sea Mist is a sea-salt mist that also volumizes, giving you beachy texture and a bold boost to wimpy strands. 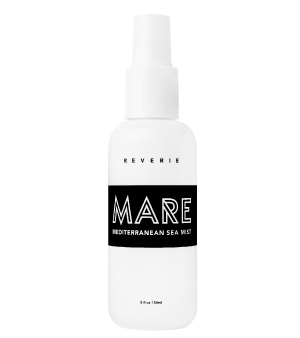 Inspired by Reverie founder Garrett Markenson's time in Italy, MARE is filled with good-for-you ingredients like rice seed and algae extract, along with essential oils like sandalwood, lemon and black pepper. 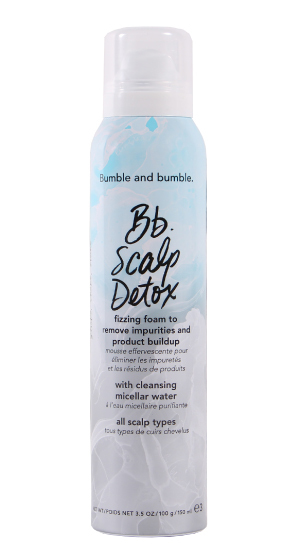 Instantly remove product build up, oil and impurities with a zillion zingy micro-bubbles. Micellar water and salicylic acid are your clean-up crews, while panthenol, rose bay extract and superstars like Vitamin E and B5 nourish every strand. Your hair is left bouncier and shinier - from root to tip. Experience ultimate shine and nourishment with this indulgent range. Inspired by the ancient Grecian traditions of coating bodies and hair with oils, this is your secret for protection and replenishment. 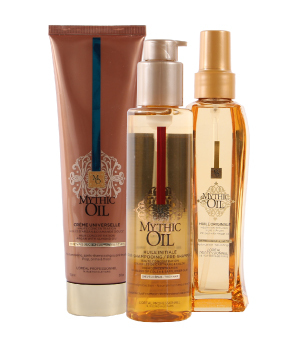 Highly concentrated with fair-trade argan oil and more, you'll smooth every strand while adding rich vibrancy.